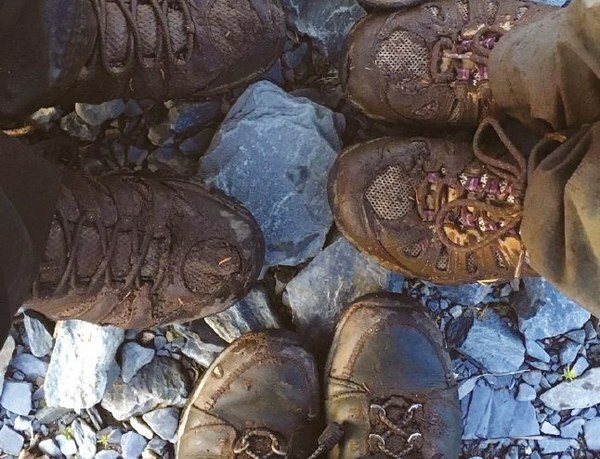 Hiking goals in Alaska are as diverse as the people you meet out on the trail; they come in all shapes, sizes and ambitions. But one thing is pretty universal: The ideal of an end-of-summer “goal hike” that you train for all summer long. Your goal might be a long traverse, linking together more than one favorite trail, or “just” the long, tiring, and oh-so-worth-it slog up a prominent peak that’s been teasing you from the skyline. Keep reading for some of my favorite goal hikes that top the scale in terms of vistas, memorability, and/or adventure. All hike numbers given are from my new guidebook, Day Hiking: Southcentral Alaska. For more recommendations, skills articles, gear reviews, and general hiking in Alaska goodness (including some of my favorite goal backpacking trips), be sure to check out hikingalaska.net. 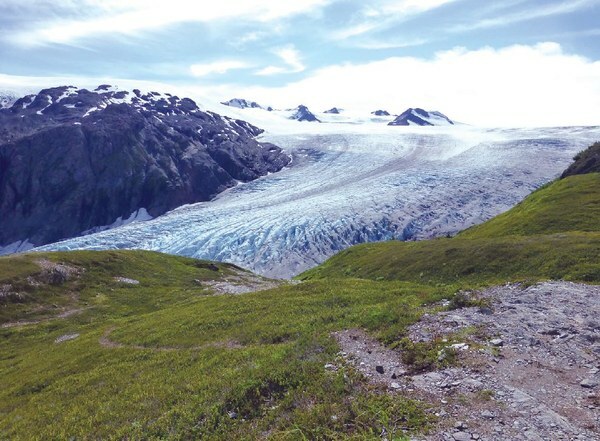 The trail to Harding Icefield near Seward (Hike 77 in my new book) is the perfect goal hike for most day hikers. At 9.2 miles round trip and 3,250 feet of elevation gain it’s a challenge worth training for, but still imminently doable for any reasonably fit hiker that packs enough snacks, chooses a day with good weather, and starts early enough to take their own sweet time (i.e., rest as needed). That said, do yourself a favor and leave this trail until late summer/early fall, even if you’re fit enough to do it now; a winter or early spring trip here comes with avalanche and crevasse hazards if you stray onto the icefield or a glacier, and enough fickle, dangerous weather to turn it into a serious expedition. Also, because this is in Kenai Fjords National Park, dogs are not allowed. Sorry, Fido (and Fido’s people). But the hike is absolutely worth planning your entire summer around. 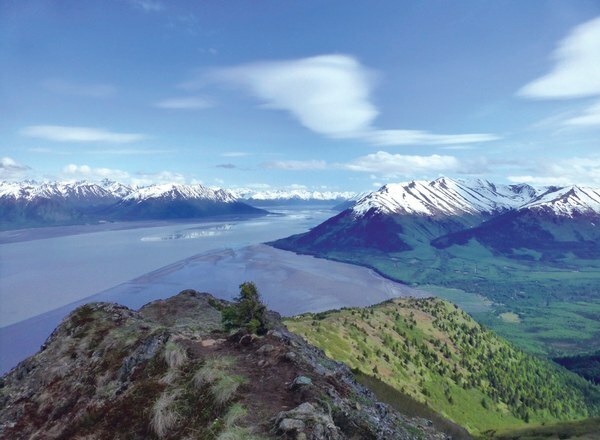 This pretty trail (Hike 70) overlooking the small town of Hope weighs in at an 8.1-mile round trip and just over 3,500 feet of elevation gain, and it packs some of the most beautiful views you’ll ever see over Turnagain Arm. Something about the light here is simply magical, so once the snow has melted it’s a worthy goal. If you pay close attention, you can also see lingering traces from the evolution of this trail. Not too long ago, it was pretty much an elevator chute that went straight up the side of the mountain; that original trail was so steep that, no exaggeration, I didn’t even have to bend over to pick berries when I climbed it in the fall. Then the Forest Service came along and saved many a future hiker’s nerves from fraying, thanks to the beautiful, switchbacked trail they created. Sure, it takes a little while longer, but the ascent is that much more pleasant and less dangerous — all while not losing a single whit in the views department. 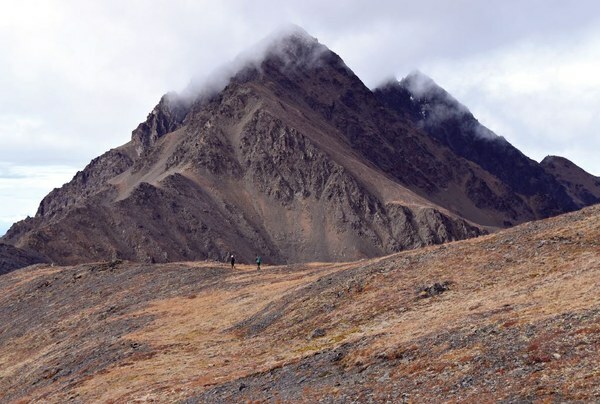 The hike toward Pioneer Peak (Hike 23) is a long, thigh-burning thrill, crawling slowly from sea level near Palmer up the shoulder of massive Pioneer Ridge. As reward for your efforts, you get fantastic views of Knik Glacier, its floodplain, Knik Arm, and the winding Knik River. The final approach to the actual peak also feels like something out of Mordor, narrowing into an exposed, rocky ridge before shifting into a “good luck with the routefinding” scramble guaranteed to slow even the strongest, bravest hikers to a sensible crawl. But don’t worry: You don’t have to do the 12-mile round trip and 6,000 feet of elevation gain to the actual summit to get your "badass" points. Many a sensible hiker stops after cresting the most prominent ridge to a beautiful viewpoint, getting the best vistas with none of the fog-shrouded scrambling on awful rock that's included with the summit climb. That milder turnaround point is “just” a 9.6-mile round trip and 5,300 feet of elevation gain — so is it any wonder that people train for this hike all summer long? See something that piques your interest? Set a goal date to do the hike, and get started training now by tackling trails that are already within your comfort zone. As you get stronger you can push your limits on length and elevation gain, little by little. Before you know it, that seemingly out of reach goal hike will be something you know you can handle. Originally published on hikingalaska.net. Read the full article here for more recommendations and three backpacking goal hikes to consider. 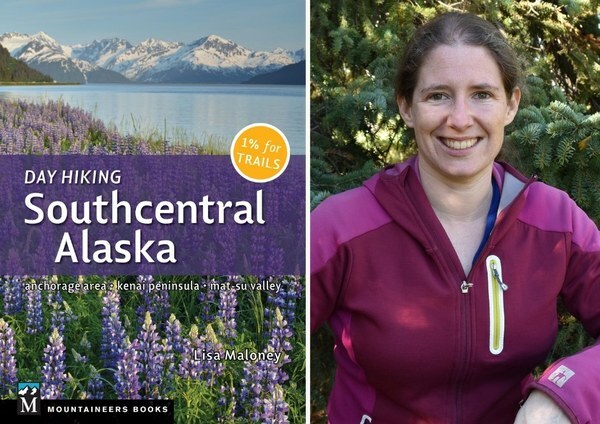 Pick up a copy of Day Hiking Southcentral Alaska today to start planning your goal hike, and meet Lisa in person at one of her upcoming events.